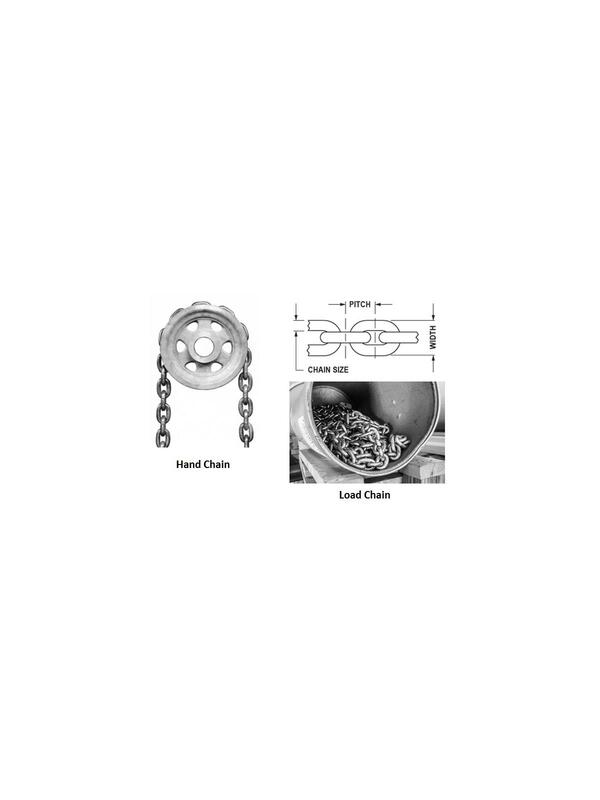 David Round Company Precision Engineered Hand Chain is used to turn hand wheels on overhead doors, industrial windows, hard-to-reach valves and a sundry of other industrial applications. Hand Chain is not intended for load lifting. 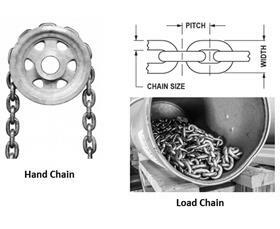 David Round load rated chain is utilized for heavy-duty lifting applications with capacities up to 50,400 lbs. All David Round chain is precision calibrated to mate perfectly with David Round sheaves. Available by the foot, chain is easily converted into loops. Made in the USA with all chain available in additional capacities and sizes -- please call for details. $100.00 minimum order applies to all chain orders. FOB Shipping Point. See Related Items for David Round Chain Sheaves & Load Wheels and David Round Chain Sheaves & Load Wheels Optional Chain Guide.